Current EWS leader Isabeau Courdurier stopped by Hutchinson’s press camp to share her thread of the Griffus development story. She won the first two rounds of the 2019 series on one pair of Griffus tires. All photos Brian Gerow, unless otherwise noted. 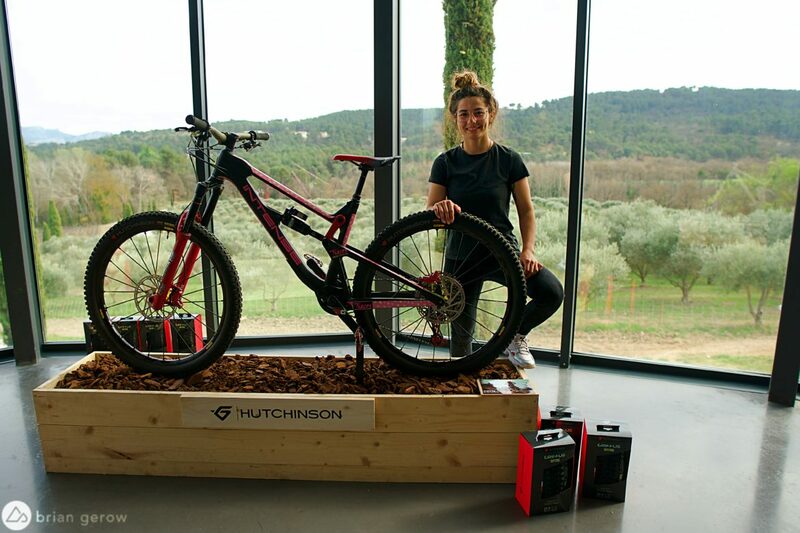 Hutchinson has a faster gravity tire for descent-inclined shredders, and it is made entirely in France. 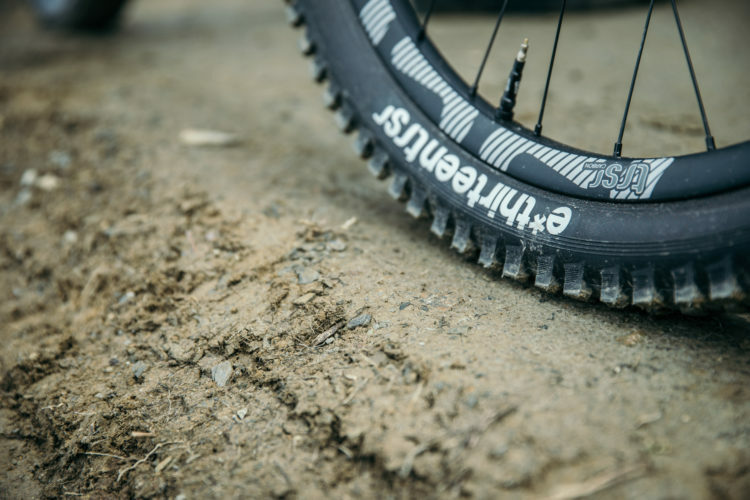 With specific tread patterns for two different widths, black or tan sidewalls, and ripping fast descending at its core, the Griffus is a sweet tread for dry tracks. Beginning with prototype tubular tires in the first Tour De France, Hutchinson has been developing tires based on expert-level feedback for 160 years. 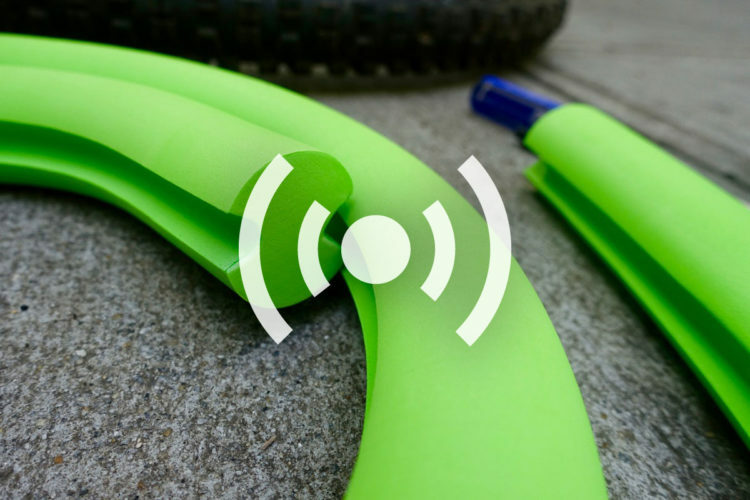 The new Griffus was winning races and events throughout its design process beneath riders like Isabeau Courdurier, Cécile Ravanel, Yoann Barelli, Carson Storch, and Kilian Bron. 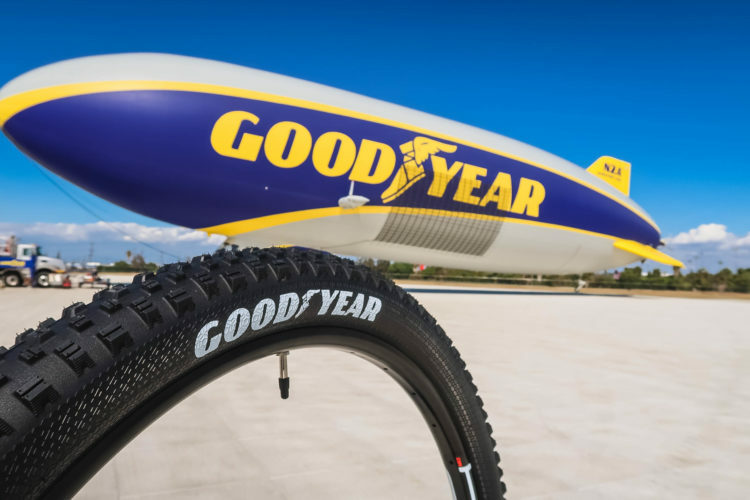 These riders have had regular meetings with the engineers at Hutchinson to help create a tire that will perform in the most extreme situations possible. 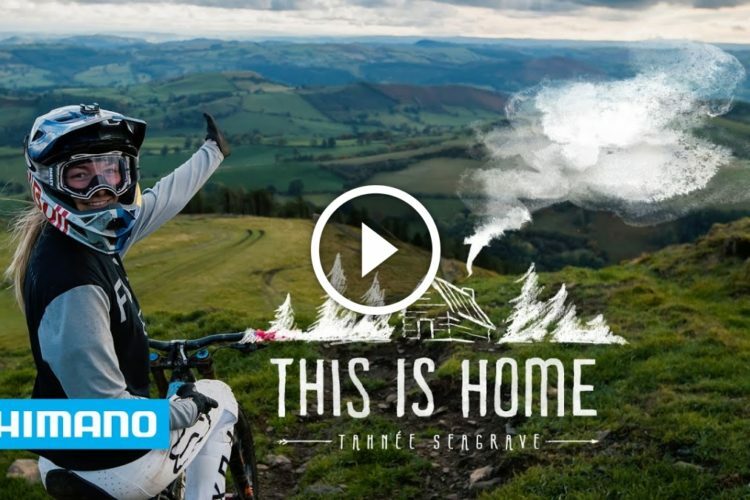 The pros asked for a faster dry conditions tire, and Isabeau has proven that they received exactly that. 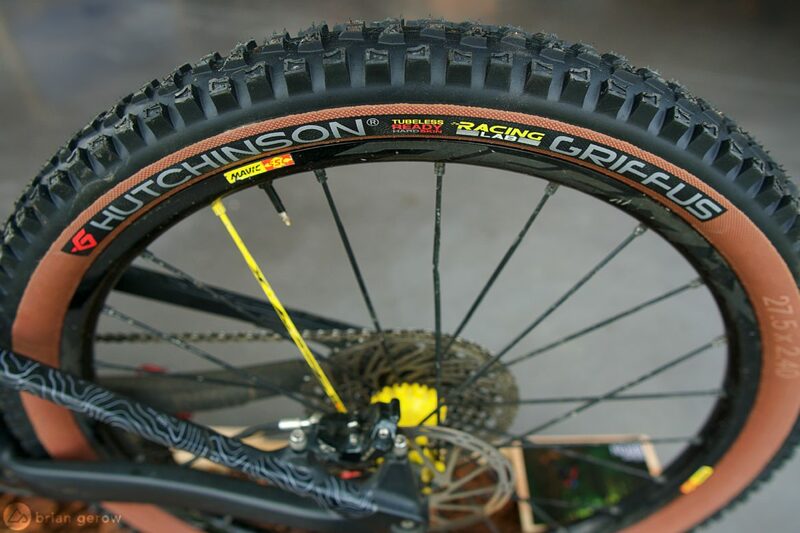 Hutchinson is one of the first companies to offer a tan sidewall 29″ gravity tire, which will be available shortly. 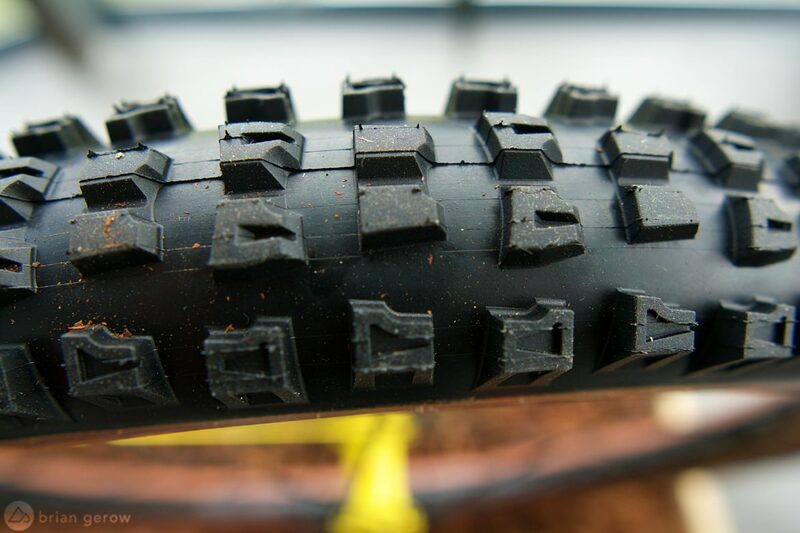 Knobs on the 2.5-inch-wide tires are aligned in perfect rows, with steeper leading edges, to increase traction. While you can ride either width front and rear, the 2.5″ version was originally designed as a front tire with the 2.4″ designed for the rear. 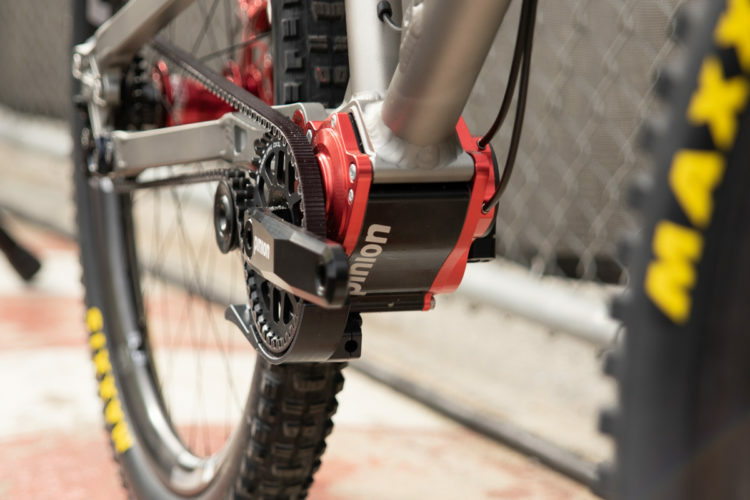 The 2.4-inch-wide tread pattern has offset shoulder and center knobs to provide a smooth transition in the corners, with less steep leading edges that let the tire roll faster than the 2.5-inch version. 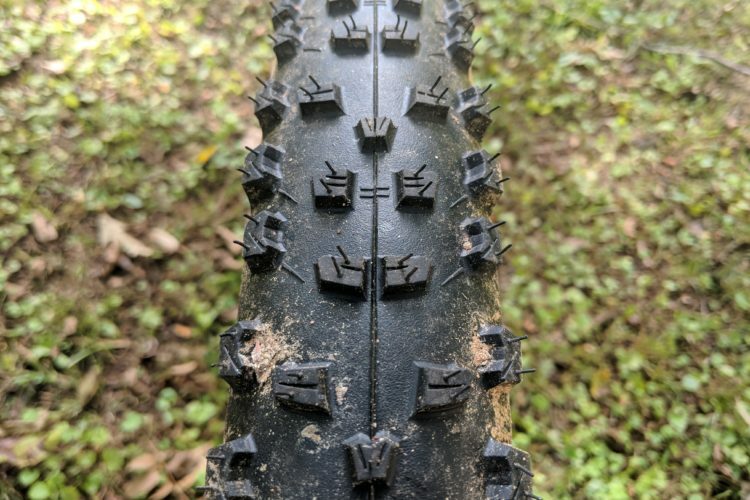 I have ridden the new Griffus tires for a couple days now, which is not sufficient time to form a full opinion, but I do have a few first impressions worth mentioning. I mounted the 29×2.5″ tire up front, and the 29×2.4″ tire out back. 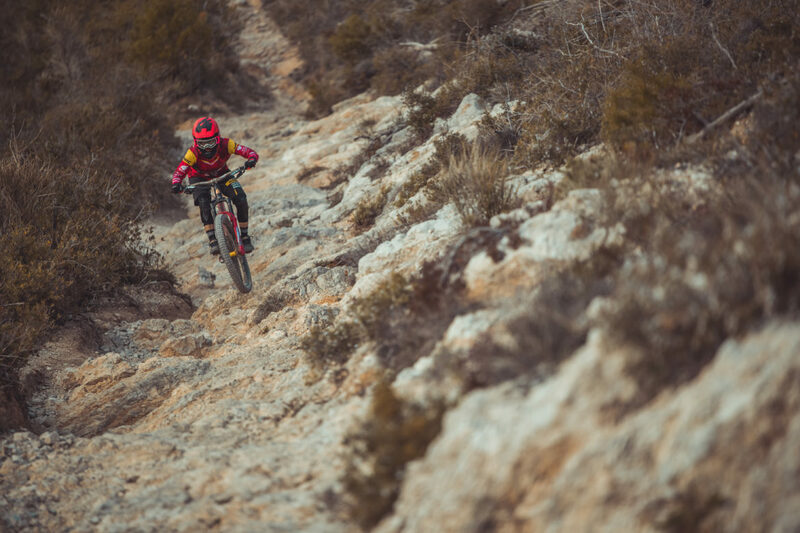 The first ride I did was at Evo Bike Park in southern France, where it hadn’t rained for nearly two months. The dust was deep, and the tires’ burly knobs dug in hard. I had no problem pushing the bike down deep into the turns while confidently maintaining traction. 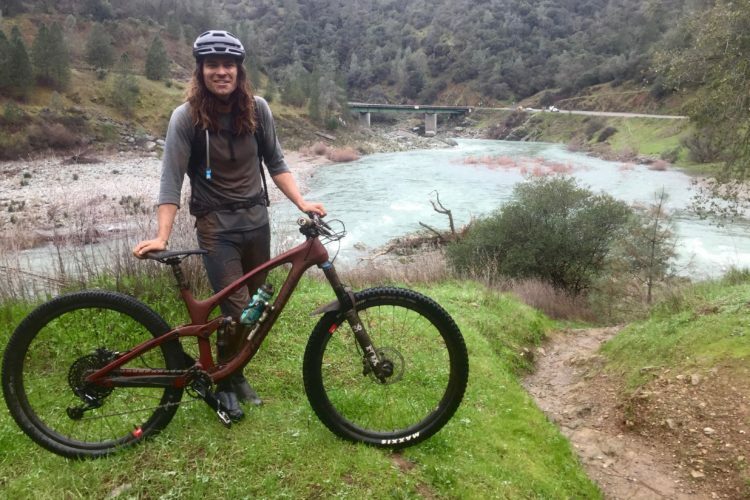 I rode a few of the park’s steeper and more natural descents and was pleased with the traction in loose chutes and corner grip on catch-berms. 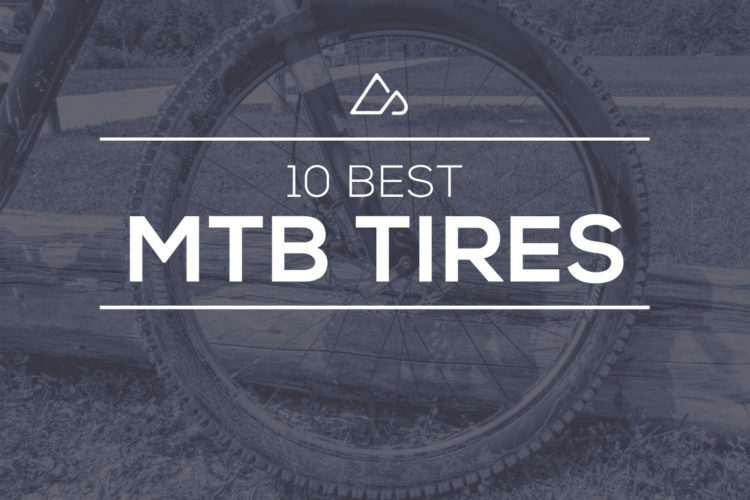 Another noticeable characteristic of the tire is that its bead-to-bead protection compound creates a sturdy sidewall that doesn’t flop around or beg for higher pressure in faster berms. I found the rear tire breaks loose in a predictable and controllable manner. 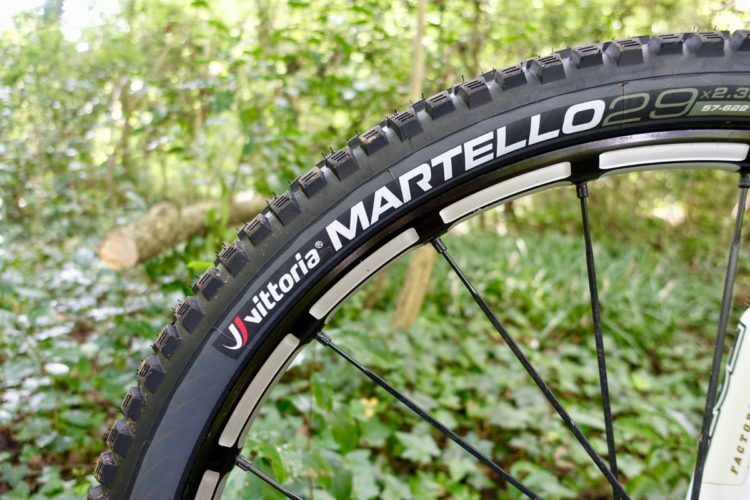 A predictable break in traction is a crucial element of gravity tires, and I look forward to testing these to their limit in the coming months. The second ride was on my backyard trails, after a long night of rain soaked into the clay-based singletrack. I had assumed that The Griffus would perform as well as any other fast gravity tire in the mud, and that prediction came slidingly true. The rear tire packed with mud rather quickly, and both front and rear were quite squirrelly on the more damp bits of trail. I am fairly cautious on new tires, and I expect a longer review will reveal the true nature of the Griffus in wet conditions. 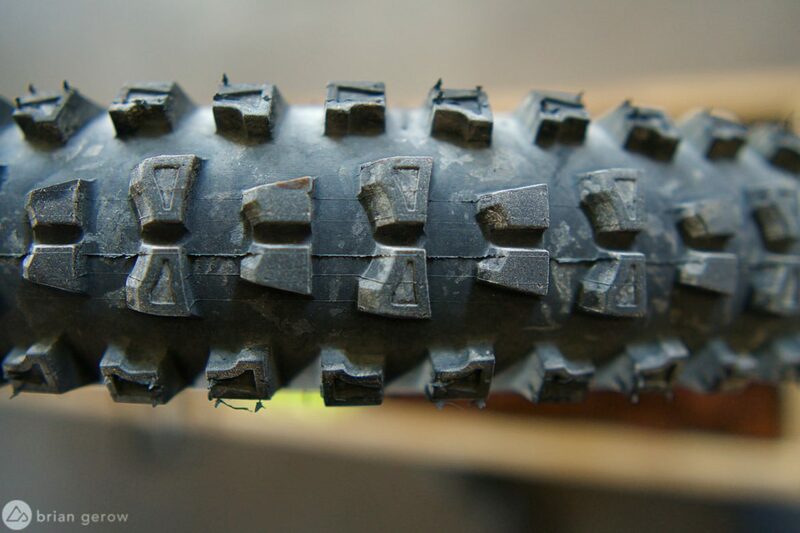 While the Griffus is designed to reach max speed on dry trails, Hutchinson does make several all-condition and mud-specific tires to stick to the sloppy stuff. Look for a full-length review of the Griffus this summer. We would like to thank Hutchinson for mounting up the Griffus for review.